Yes, federal law provides a special right of action for railroad and train company employees. How Does Federal Law Protect Injured Railroad Workers? That you are covered under FELA. The railroad or train company was negligent. That negligence caused you injuries. How Are Fela Cases Different Than Workers' Compensation Claims? If you can make this case, then, unlike in a workers' compensation case, your damages will not be capped. They will reflect the true nature of your damages to whatever extent you can prove. The other crucial difference between a FELA action and a workers' compensation action is that the latter is a no-fault dispute. This means that if workers are injured on the job, then they recover regardless of who was at fault. In a FELA dispute, the train or railroad company must have been at fault (negligent) for an employee to recover. However, unlike in traditional negligence cases, the defendant need not be primarily responsible for the incident-only partially- in order for a victim to gain compensation. It is not hard for an experienced attorney to show that a train or railroard company was a little at fault; therefore, this element of a FELA lawsuit is a bit easier to illustrate than you might realize. How Are Fela Cases Different Than Traditional Lawsuits? In terms of the structure and the mechanics of traditional personal injury lawsuits and other kinds of cases, FELA actions are not very different. They have much of the same demands, forms, and phases. The look and feel is interchangeable. However, they are unique in that they are a specific and distinct kind of case. Created by a federal law, you must fit certain parameters in order to bring one. On the other hand, for a general negligence cause of action, your lawsuit can arise from one of an innumerable set of circumstances as long as it has a few common traits. Therefore, it is critical that you and your attorney methodically review the nature of your incident at the beginning of the investigation to see if a FELA action is applicable because you could waste a lot of time and money if it is not. Worried That You Might Not Be Able To Bring A Case After A Train Accident? 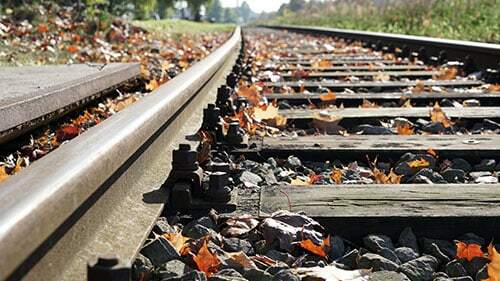 Rosenfeld Injury Lawyers LLC can quickly determine if you can pursue a claim for injuries after a train or railroad accident. Then, if you decide to bring a claim, we can represent you on contingency which means that our services are free until you are happy with the award or settlement. Don't wait for the recovery that is rightfully yours. Call Rosenfeld Injury Lawyers LLC today.